A meteorite has passed straight through the earth! Wyman Ford is called to investigate the mysterious exit hole and what he finds shatters all we thought we knew about the universe. There's an ancient structure on one of Mars's moons, where the outline of a gun can be seen -- a gun built to monitor the solar system and destroy any intelligent life that might challenge it. But built by whom; Its no accident that Douglas Prestons novels seem stunning in their authenticity. Preston is a Research Associate at the Laboratory of Anthropology in Santa Fe, and a board member of the School of American Research in Santa Fe. 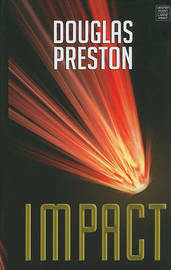 In Impact, Preston zeroes in on the scientific exploration of meteor impacts and their immediate and long-term effects on our planet. 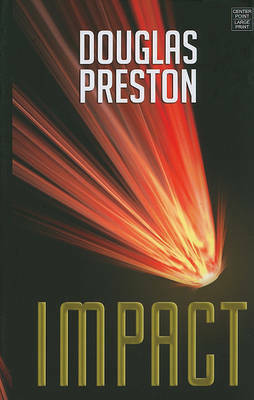 Ford and his team must destroy the alien doomsday weapon aimed at earth -- and they have sixty hours in which to complete their mission.